It’s hard to think of a project that more neatly encapsulates our community’s core values than the Napa Valley Vine Trail. Guided by vintner Chuck McMinn, the bike/pedestrian trail combines public health, agriculture, the arts, family, local history and environmental science in a way that transcends the local/tourist divide. Plus it gets some cars off the road. McMinn and NVVT Executive Director Philip Sales recently briefed us on the trail’s progress, including a problematic stretch where the trail is set to veer off Highway 29 and down Ehlers Lane, just north of St. Helena. McMinn and Sales say Highway 29 is too narrow to accommodate that stretch of the Vine Trail, and Ehlers Lane presents the best solution. But neighbors say Ehlers Lane also is too narrow, with agricultural activities that are incompatible with recreation. They say it doesn’t make sense for tractors and grape trucks to be sharing a 12-foot-wide road with cyclists and pedestrians, who could also be exposed to sulfur and other potentially harmful chemicals. Neighbors want to see both sets of plans — staying on 29 and turning down Ehlers — so that they can evaluate their feasibility side by side. While it might cost the Vine Trail some extra money, we think neighbors deserve that courtesy. Somebody’s going to have to compromise, and that’s only going to happen if both sides negotiate in good faith, perhaps through mediation with someone like Scott Snowden. McMinn is committed to building the route through voluntary easements, and that non-coercive spirit should extend to the farmers who will have to live with the Vine Trail for decades to come. Assuming the Ehlers situation is resolved, McMinn wants to start work on the Pratt-to-Calistoga segment in 2021-2022. He expects at least 150 people a day to use that stretch of the trail on weekdays and 300 a day on the weekends. Within St. Helena, the route is still hazy. A proposed alignment that zigzags through east-side neighborhoods is less than ideal, and a few west-side alternatives are being tossed around, including a trail between RLS Middle School and St. Helena High School, something involving Money Way or – most controversially – a trail along Oak Avenue that may or may not call for one-way vehicular traffic. McMinn was careful not to endorse any of those options, saying the Oak Avenue idea originated with a consultant, not with the Vine Trail. 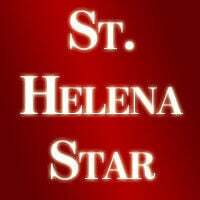 He said the matter is in the hands of the St. Helena City Council, which will look at the trail alignment in the context of a broader circulation study. The route gets a lot simpler south of St. Helena, where McMinn anticipates the trail running along the west side of Highway 29 to Yountville. Most of the route from Yountville south through Napa is already done, with surveys showing nearly 500 walkers, runners and cyclists a day in Napa. The Vine Trail is being built to last, using one-foot-thick Park Tread surfacing that’s stronger than concrete and able to withstand vineyard equipment. Safety is one of the cornerstones of the Vine Trail. McMinn said he wants parents to feel comfortable with their children riding 50 feet in front of them, and the whole trail is being designed with that standard in mind. A man was killed in an apparent homicide on the trail in central Napa after dark on Jan. 30. In response to concerns about safety, McMinn said the Vine Trail is looking at adding more lighting and security cameras along the Napa segment, even though it’s technically closed between sunset and sunrise. There’s still some fundraising and route planning to be done, but 40 percent of the trail is on the ground and another 20 percent is drawn up and ready to build. We support the project and applaud McMinn, who’s spent the last 10 and a half years working with more than 30 landowners and 13 public agencies to realize his vision and leave a priceless legacy for future generations. The Star editorial board consists of editors David Stoneberg and Sean Scully and community volunteers Norma Ferriz, Christopher Hill, Shannon Kuleto, Bonnie Long, Peter McCrea, Gail Showley and Dave Yewell. Yewell did not contribute to this editorial. Q: What do brain surgery, fine dining and local elections have in common?